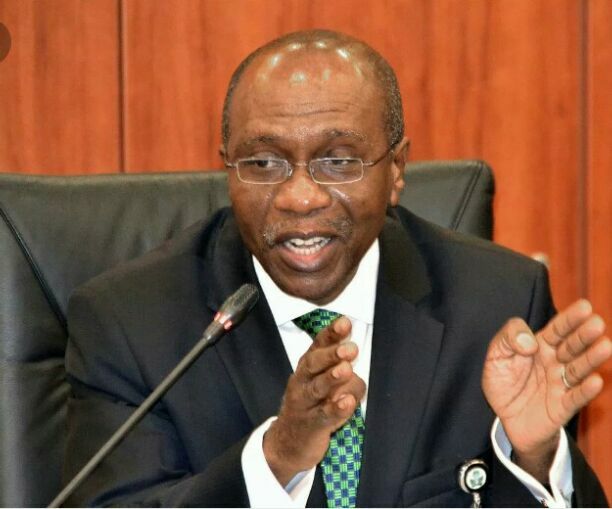 Northern Youth Council of Nigeria (NYCN) has called for voluntary resignation of Governor of Central Bank of Nigeria (CBN), Godwin Emefiele within the next 21 days or do something to put the nation’s economy on the right track. They said though they were not economists but they are aware that economy of the country is in shambles with foreign exchange rate worst in recent times, calling on President Mohammadu Buhari to look for people with technical know-how to join him to fix the economy before it gets out of hand completely. President, NYCN, Comrade Isah Abubakar in a statement on Wednesday noted that lack of economy and financial direction have increased poverty rate in recent times from 60 percent to 75 percent with attendant consequences that have increased number of impoverished Nigerians to about 120 million. The statement read in part: “after watching with keen interest the present economic hardship in the country, we are saying no thanks to CBN Governor who has not been able to come up with any plan that can take us out of the wood as head of our financial body, we at NYCN while supporting the administration of President Mohammadu Buhari are saying we are not happy with his economy team hence the need to look inward for better hands. “We now pay as high as about N500 to a dollar. This has brought serious hunger and hardship on our people because most what we eat are imported and are been affected by high foreign exchange. Inflation has increased from 7 percent in 2013 to 17 percent in quota 4 of 2015 and quota 3 of 2016 which bothers the CBN Governor and Finance Minister, Funke Adeosun agreed to the fact that economy is in trouble. “Unemployment is another problem as it has soared to 24 percent at a period when millions of beverages, tobacco, banks and hospitality sector workers have been added to already saturated Labour market. Small and medium scale enterprises that were coming up are folding up as they can not bear the exchange rate that has sky rocketed beyond their reach. “This has show total failure of the CBN governor and he has proved his total incompetence to manage Nigeria economy. It is to this regard we demand for his resignation as the CBN governor and urged Mr President to appoint a competent hand not minding where he comes from, his ethnicity, or religion background. We only need someone with sound economics nitty-gritty who can manage our delicate economy. This is because we demand nothing but a better Nigeria. “Failure of the CBN governor to voluntarily resign or put the economy in the right track within the 21-day of this ultimatum, NYCN will be forced to organize and mobilize mass protests in front of the CBN headquarters in Abuja”, the statement added. The statement however called on All Progressives Congress (APC) led government at various levels to stop playing blame games and work for people that elected them into varying offices they are occupying, noting that they were voted in to effect positive change the country needed and not to keep complain, “we know we are not broke. It’s just that only few cabal and multi national companies are holding it. The time to work is now”.